"You who wants to tell me “Welcome back”, and me who wants to tell you “I am home”. Because we have a place to come back to, a place overflowing with warmth, for sure we can go on living to the fullest. Even when we are apart, they are connected… our feelings for each other." me too! esp Yunho's voice in this song.. so smooth and calming! thanks!! 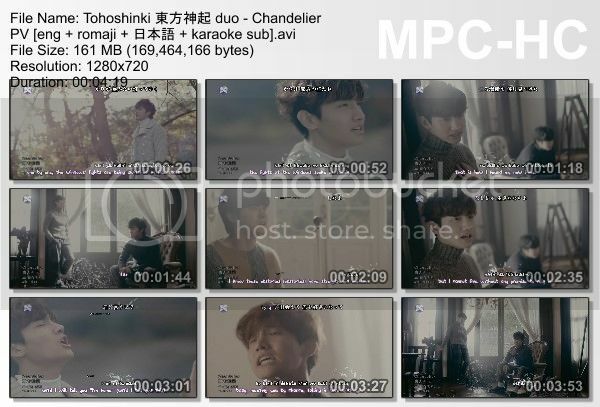 I've been searhing for this pv..... :D btw, do U have time works wonder n white pv to download?? Hi~~ lol it's ok, I only check my own blog when I post videos too XD and I don't even use FB much besides for requesting Candy Crush tickets..